The heady days of imported European automobiles rolling unabated onto our shores, like the Bay of Fundy at high tide, came to an end in 1963 when Parliament enacted a strong legislative dyke to stem the virtually unstoppable flow. The small, economical cars from abroad were making serious inroads on production of the domestic carmakers. One out of every three consumers had bought an imported automobile in 1959. Even cars from Commonwealth countries, namely Britain, were now subject to tax. 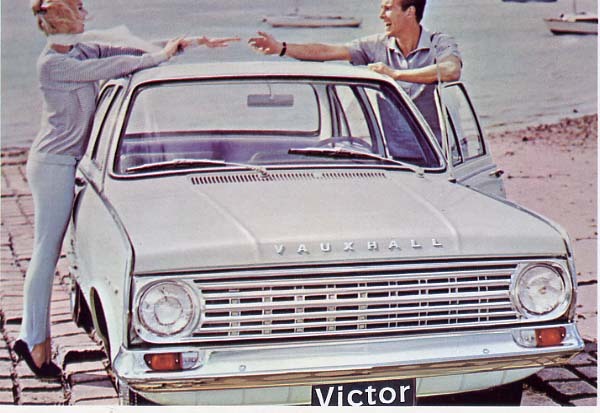 Vauxhall was one of the most popular of the lot. Built by General Motors in Britain, it had been part of the automotive scene in the Dominion since 1948. It would be severely affected by the new rules laid down by Ottawa. 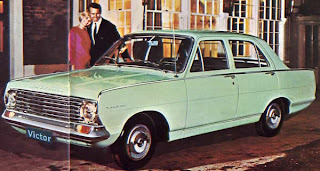 Sales of imports had already slowed considerably because GM, Ford, Chrysler finally got around to joining Rambler and Studebaker with the introduction of their smaller cars for the 1960 season. For the 1962 model year production of domestically built compacts reached 28.7 percent, divided (in order of sales) among Ford Falcon, Rambler, Mercury Comet, Acadian, Valiant, Studebaker Lark and bringing up the rear of the pack, Chevrolet’s Corvair. The new import tariff, coupled with a sharp devaluation of the dollar by the Bank of Canada, delivered a one-two punch to foreign cars, prompting sales of all to take an enormous nosedive. The firmly entrenched Volkswagen was the only exception to the trend. Power was provided by a more than ample 50-horsepower engine, mated to a fully synchronized manual, floor-mounted, short-throw four-speed transmission. 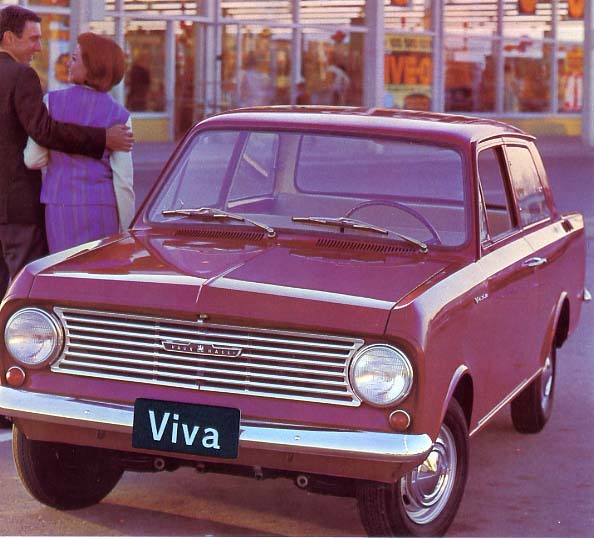 Advertising called the mill “spunky.” Independent front suspension along with rack-and-pinion steering made the pint-sized Viva very responsive to the driver’s touch. Its turning circle was tight, a scant 29 feet. Marketing called the no-cost handling package its “Roll-Control Suspension” ride. 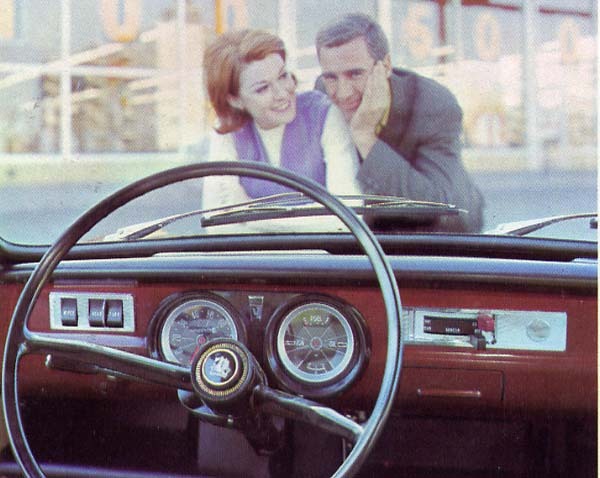 For a few bucks more, the Deluxe version of the Viva was decked out with padding for the instrument panel, carpeting, modest brightwork trim inside and out and a windshield washer. 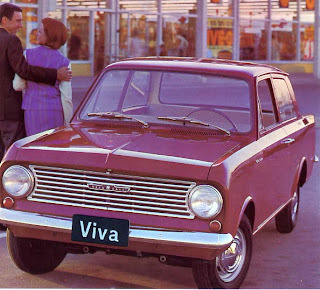 Viva sported the hottest of European driving trends, a single-lever “stalk” control that operated the turn signals, the horn and a bright-dip headlight beam flash indicator. 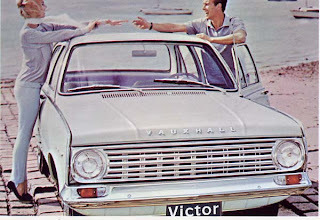 Even though the Victor was substantially larger than Viva, it still had no direct domestic competitor. Rambler had abandoned its 100-inch wheelbased American line at the end of the 1963 season and its place was promptly taken over by Austin, Datsun, Simca, Renault, Toyota and a host of other hopeful contenders. 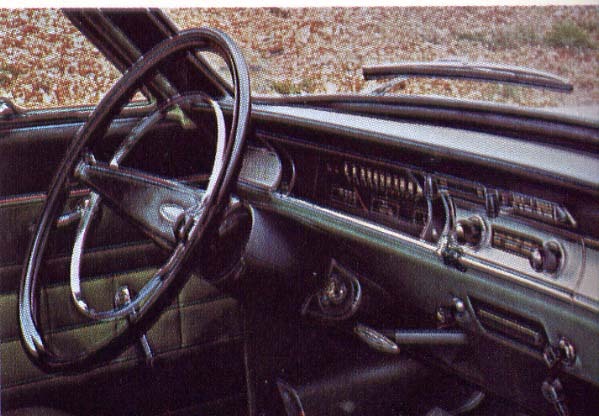 The Victor Super 101 offered “brilliant styling,” luxurious comfort” and whisper-soft quietness.” A four-door sedan and a four-door station wagon were available in the Victor line. Its deliberate air of sophistication was due to “dedicated devotion to detail.” And Victor delivered, with one impressively thoughtful touch after another, standard appointments that often graced much larger and much more expensive vehicles. Curved side glass, coil springs in the seat backs for “proper spinal support,” padding for the instrument panel, fully upholstered doors, a novel map-reading beam on the courtesy light, arm rests and door pulls were but a few of the niceties found in a Victor. The cabin was liberally swaddled in scads of sound deadening and thick, felt carpet underlay material. As small and inexpensive as it was, Victor boasted fully operational Ventipane windows, fore and aft. Shoppers would come into the Vauxhall-Pontiac dealership and look over the full-sized models and then carefully kick the tires on the Acadians and Beaumonts that were parked on the showroom floor and on the lot. When the vivacious Vauxhalls caught their attention, salesmen were primed to pitch the practicality of the little lads from Luton, extolling their every virtue, from their initial low purchase price to their inexpensive maintenance. They waxed eloquent about the wagon being large enough, with its 51.7-cubic feet of cargo space, to haul things up to the cottage and still stylish enough to be seen in at the country club. 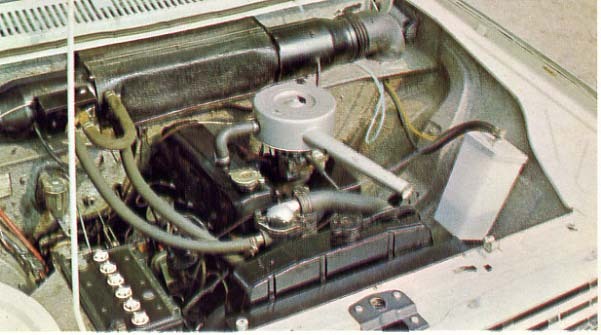 The Victor’s four-cylinder engine generated a respectable 70 horsepower. It came bolted to a standard three-speed, fully synchromesh manual shift or an extra cost, four-speed manual transmission. As the year wound down, 1966 turned out to be the second best year for both production and sales in Canadian automotive history. Vauxhall shared modestly in that success by adding 6,850 sales to GM Canada’s bottom line and taking exactly one percent of the market share.